Case lodged against Bihar minister Ashwani Choubey's son for Bhagalpur communal clashes - Integration Through Media ....! 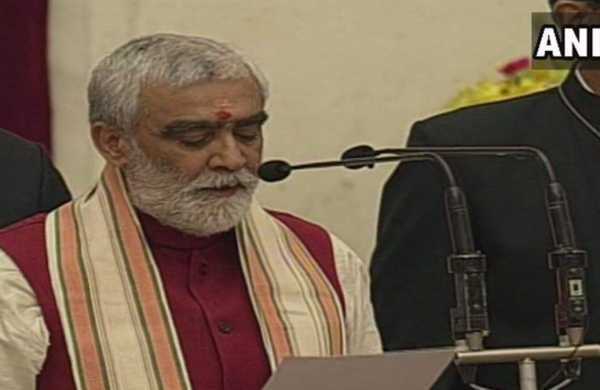 PATNA: A case was lodged against Minister of State for Health and Family Welfare Ashwani Choubey's son in connection with communal clashes during a procession in Bihar's Bhagalpur district, police said on Monday. “Two cases were lodged in in connection with the clashes two days ago. The first was against taking out the procession without permission, inciting communal sentiment and roaming on roads with displaying arms in which Choubey's son Arijit Shashwat and 20 others were named as accused,” police officer Md Janeefuddin told. Janeefuddin said that an investigation has begun into Shashwat's role in the clashes that took place in Nathnagar on Saturday. The procession was organised by the Bharatiya Navvarsh Jagran Samiti on the eve of the Hindu New Year. However, Choubey as well as local BJP leaders have claimed that rally organisers had been given permission by the district administration. The minister also denied that provocative slogans were raised and objectionable songs were played in the procession. Shashwat had unsuccessfully contested the last Bihar Assembly polls as the BJP candidate from Bhagalpur, considered a stronghold of Choubey. Choubey was elected MP from Buxar Lok Sabha seat in 2014. Tension still prevailed in Nathnagar and neighbouring Champanagar areas. Additional security forces have been deployed and internet services have been suspended since Saturday night. Bhagalpur is a communally sensitive place as it witnessed one of the worst communal riots in 1989 in which more than 1,000 people were killed.